Things have been busy here in my little corner of the Pacific Northwest. I’ve been working on a number of different projects, including producing my own indie film, working for four area newspapers, and doing a lot of teaching. In 2011, my short story Dark Alley was rejected by my publisher for publication. That was the start of my indie author career as I went on to self-publish for the first time. That same story is now the catalyst for my first indie film production on which I have been working diligently for the past two months. 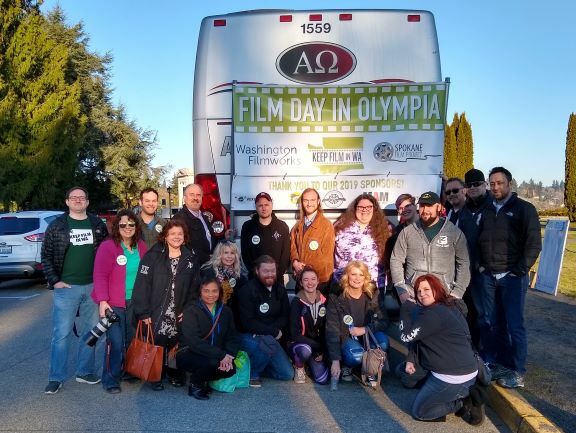 I became a member of the Spokane Film Project and actually was the only person from my district to lobby at the State Capitol to keep incentive funds for films in Washington. That was a very interesting experience. The Keep Film in Washington trip was a great networking opportunity, and I met with many established filmmakers from around the state. If you’re interested in reading Dark Alley, it is currently part of a collection that is free across all retail booksellers in eBook form. You can read more about it here. The collection is a combination of my works and those of my friend Newton Love, and we keep the eBook available for free to introduce people to our wide variety of writing styles. Be forewarned, Dark Alley does contain adult content, but it is not graphic. I was honored to be invited to present at the recent PechaKucha night here in Chewelah back on March 13. PechaKucha is an interesting concept developed by the Japanese; it’s a presentation style in which 20 slides are shown for 20 seconds each. So basically, close to seven minutes of sheer terror for the speakers. Ha ha. I decided to present on different instances where my photography took a turn for the worse, also known as stupid photographer tricks. I titled it Don’t Try This at Home, and you can watch the video here for free. If you want to know more about PechaKucha or find out if it’s in your neighborhood, you can go to PechaKucha.com. 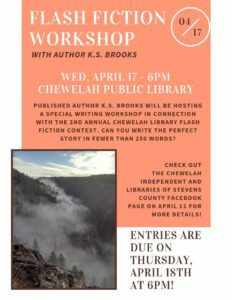 Once again I’ve been invited to team up with the Libraries of Stevens County to host to the second annual Chewelah Flash Fiction Contest. I’ll be teaching a workshop on April 17 to help people, not just participants, but everyone to hone their writing skills whether that be fiction or nonfiction, business writing, etc. I’m a huge advocate of flash fiction to polish your writing and even teach a course called Using Flash to Tighten Your Writing for the Community Colleges of Spokane. This is all thanks to my dear friend Steve Hise who got me involved in flash fiction writing when I claimed I couldn’t write anything shorter than 400 pages. I am planning on putting my flash fiction course online through Udemy.com, but I have not had the time to do that at this point. 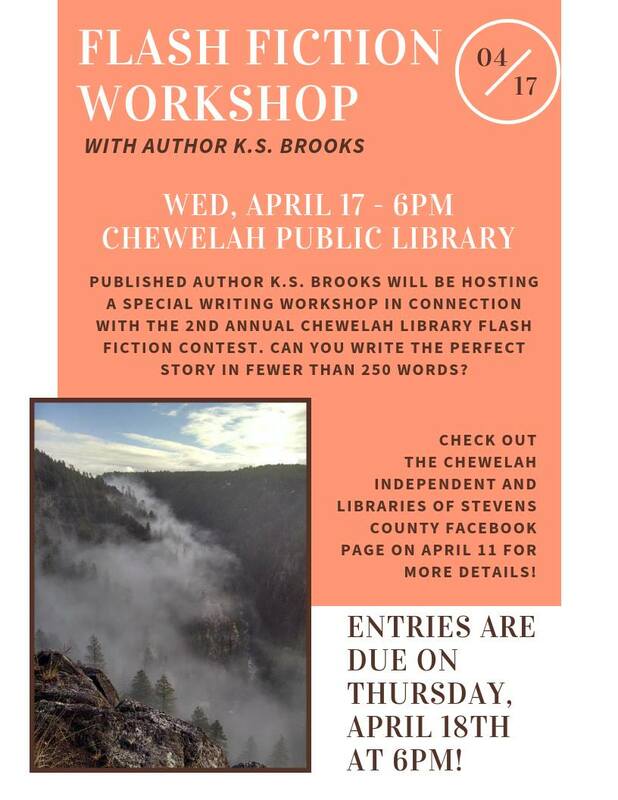 The workshop will be April 17 at 6 PM at the Chewelah Library. The winning story will be published in the Chewelah Independent newspaper as well as the Indies Unlimited Flash Fiction Anthology for 2019. You do not need to be a Chewelah resident to participate. Because… what would a newsletter be without the chance to win something? Everyone who can tell me what kind of dog Mr. Pish was will be entered to win a free book! I get to pick the book; but you get to pick whether you receive an eBook or an autographed print book. Print books are available to U.S. fans only – eBooks are available worldwide. Just reply to this email with what kind of dog Mr. Pish is, and you’re entered to win. It’s that simple! We’ll do the drawing on April 26, so don’t forget! 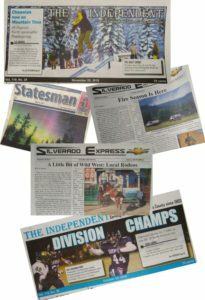 I am currently chief copy editor and photojournalist for The Chewelah Independent, staff writer and chief copy editor for The Silverado Express, chief copy editor and freelance writer for the Loon Lake Times, and freelance writer for the Deer Park Gazette. I usually produce between seven and 12 stories per month for The Silverado Express, and if you’d like to subscribe to that, it’s free other than the cost for postage depending on where you live. I have been republishing some of my stories to medium.com here. Please feel free to subscribe to that if you want to read the stories electronically. 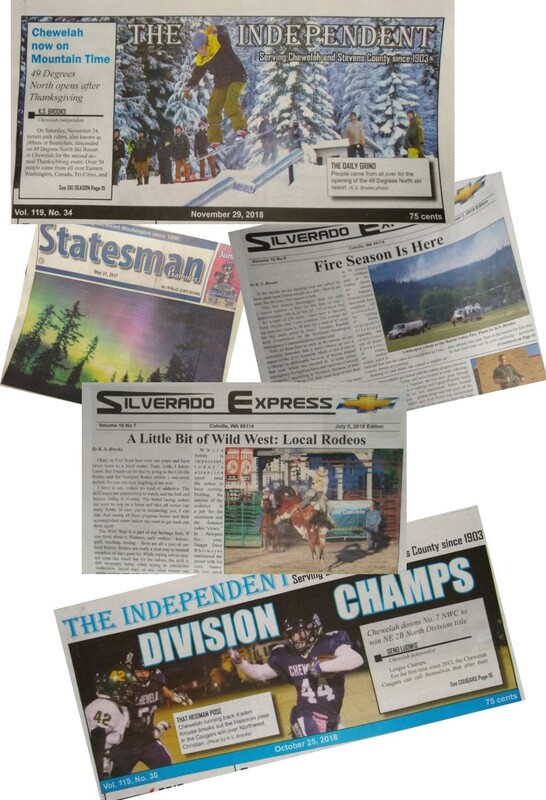 Currently, The Silverado Express does not have a website, but we are working on it. While it is a lot of work, it has been an absolute blast working for all these papers. There is a certain level of celebrity that comes with that in this area, so it has definitely allowed me to access to people, places, and things that I normally would not have. On April 9 of this year, Mr. Pish would have celebrated his 22nd birthday. He has been gone for six years now, but I still think of him every day. 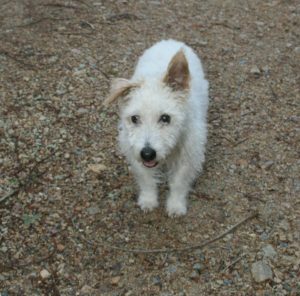 Mr. Pish was my best friend, my inspiration, and my, for lack of a better word, fur baby. I still miss him dearly. Those of you with pets know how that goes. I get asked a lot if I am getting another pet, and the answer is no. I don’t want to say never, but I really feel like never the answer. Mr. Pish’s eBooks will be on sale for $0.99 for the next couple of weeks to honor his birthday. You can find them all on his Amazon Author Central page here. I am hoping to have a couple of new book releases in the next few months. I’m working on a book about gluten-free living because I’ve had my students ask for these in class, and I’m also working on a book on how to produce a professional book because my students ask for those in class as well. These will be available online amazon.com and in print at all my classes. Some of you may not know that I am the executive director of IndiesUnlimited.com, which is a site for anything and everything to do with writing and publishing. Everything on the site is free; we do not sell advertising, so we’re never trying to get anyone to give us money. If you know someone who is writing and needs help, please direct them to that site. 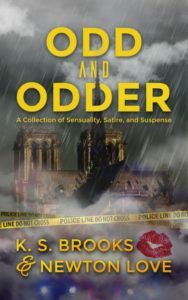 We were touted in Publishers Weekly as one of the top six sites for others, and the acclaimed site No Shelf Required said, ““I realized I had found that single, reliable resource that I needed to help novice indie authors. Enter Indies Unlimited.” Don’t believe me? Check out our brag page here. I hope you all are enjoying your spring and I look forward to hearing from you soon.